President Barack Obama signed a bill Friday authorizing water projects across the country, including $170 million to address lead in the drinking water in Flint, Michigan, and $558 million to provide relief to drought-stricken California. Obama said the bill advances vital projects across the country to restore watersheds, improve flood control and rebuild water infrastructure — including pipes in Flint, where residents have struggled with lead-tainted water for more than two years. The drought has devastated California farms — in the past two years, 1 million acres of farmland have gone fallow. The bill also approves a series of projects in California that Obama said "will help assure that California is more resilient in the face of growing water demands and drought-based uncertainty." Congress approved the $10 billion measure last week, despite complaints from some Democrats that it was a giveaway to California farmers and businesses. The extended drought has devastated California's abundant farmland and forced families to cut back on water consumption. In the past two years, 35,000 people have lost jobs, 1 million acres of farm land have gone fallow and 2,400 private water wells have gone dry, while more than 100 million trees on federal land have died. In a nod to criticism by California Sen. Barbara Boxer and other Democrats, Obama said in a statement that "I interpret and understand" the new law to "require continued application and implementation of the Endangered Species Act ... to assure that state water quality standards are met." Boxer and other critics say the bill undermines endangered species protections for threatened salmon and other fish and could severely damage the fishing industry in three states — California, Oregon and Washington. Boxer helped draft the bill, but became an outspoken opponent after two other Californians — Republican House Majority Leader Kevin McCarthy and Democratic Sen. Dianne Feinstein — inserted language addressing the drought days before Congress voted. McCarthy called the bill signing "a great moment for California" and the most significant reforms to California water policy in 25 years. 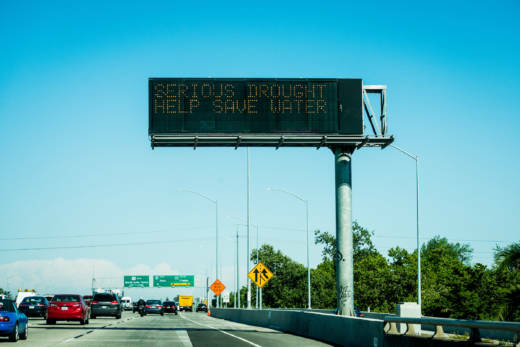 "This new law will help our communities receive more water this wet season and will help move forward storage projects that will define California's bright future," McCarthy said in a statement. "We have not solved all of California's water challenges, but this legislation is an incredibly positive first step." Sen. Debbie Stabenow, D-Mich., hailed the Flint measure but called it long overdue. The measure authorizes projects for Flint and other communities, but funding is included in a separate, short-term spending bill approved last week. "The people of Flint have waited far too long throughout this terrible crisis for their water system to be fixed. It is also past time for the state of Michigan to do everything in its power to meet its responsibilities to help the city recover from the water crisis," Stabenow said.